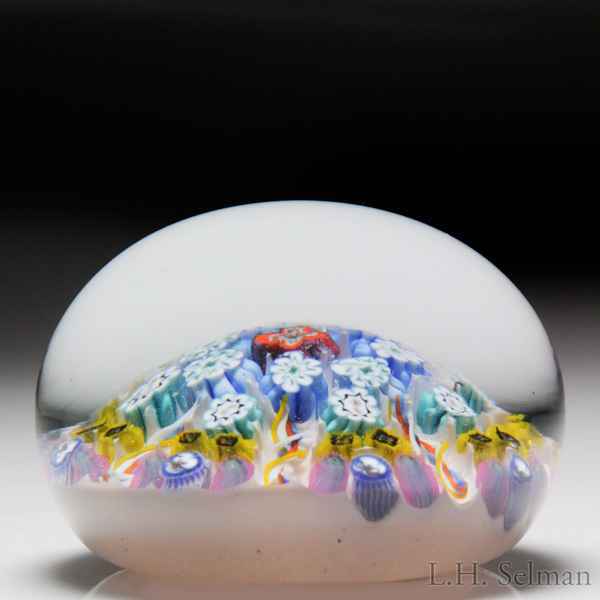 Strathearn patterned millefiori and radial twists paperweight. Seven radial twists in orange, fuchsia and white define seven triangular segments, each hosting six complex canes in the same colors. The triangles converge on two concentric circles of light blue canes which in turn enclose a single red and fuchsia cane at the apex. Powdery-gray ground. Diameter 2 1/2".